A new report from the Japanese website Mac Otakara suggests that Apple is working on multiple projects at a time. Besides working on the upcoming best new phone, the iPhone 8, the rumor suggests that Apple will be updating the iPhone 7 with a new iPhone 7s versions that will be 5-inch and sport a dual iSight camera setup. 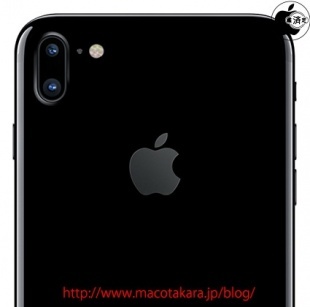 But differently, from the dual-cameras on the iPhone 7 Plus, the rumored iPhone 7s will have them placed vertically on the left side of the back panel and not horizontally. The rumors and reports toward Apple’s upcoming mobile devices are contradictional. Rumors claim that Apple will be releasing three new hi-end phones in 2017, iPhone 7s, iPhone 8, and iPhone X. Other sources claim that Apple will launch a 5.1-inch or 5.2-inch iPhone version with OLED display and wireless charging. As regarding the iPhone 7s, is not yet clear if the company will continue its traditional 4.7-inch 7s and 5.5-inch 7s Plus versions or will bring a middle 5-inch model as well. In other sources, iPhone 8 is rumored to come in 4.7-inch and 5.5-inch with glass coating and an OLED display, wireless charging and invisible fingerprint Home button. However, Apple keeps its secrets well and take these reports with a grain of salt. A proof that leakers have little success on unveiling Apple is the company’s first smartwatch, Apple Watch. For months the wearable device was named as iWatch and its original name was leaked just two hours before the official announcement.